Playground In Mesa, Arizona. WOOF! 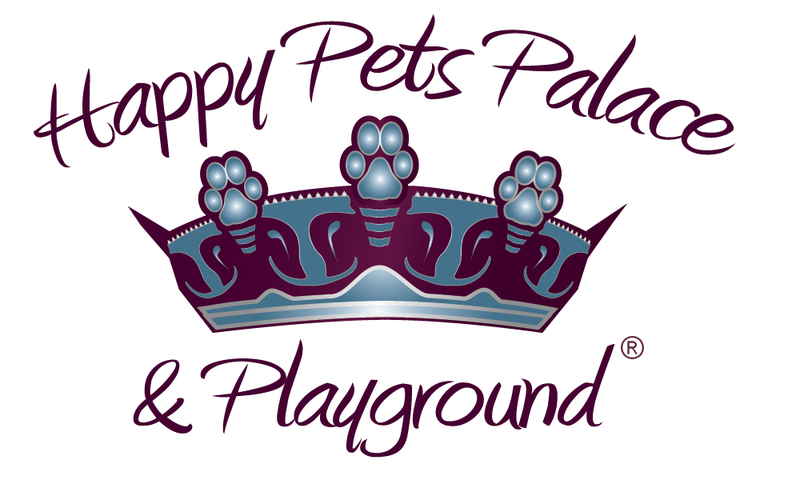 We at Happy Pets Palace & Playground, LLC aspire to improve every aspect of your pet boarding experience. We strive to be a business where pet owners feel welcome and trust that their loving babies are safe and taken care of by trained staff who want the good for all animals. Let your dog experience a full day of climate controlled indoor and outdoor playgrounds for daycare and boarding. With four play yards, we have the luxury to pair similar size dogs together. We group dogs by size and play temperament. Teacup dogs play with other 10-pound and under dainty petite dogs. We know that petite dogs require more human touch to feel reassured and safe. Our dog facility is unique in that it takes extra precautions for the teacup dogs. Your dogs will be safe and protected in our first-rate clean facility. We are here to serve the busy pet owners and want to be convenient on your route to work, travel or activities. To ensure our success and growth in the pet industry we will continually provide love and gentleness that pets away from home need so much. We have learned through our many years of pet care how to communicate, observe, and respond to different types of dog needs. The staff enjoys a friendly, family-like environment with the best furry clients ever! All of the workers participate in semi-annual pet training including pet CPR and safety measures for living in Arizona heat. Employees are encouraged and given opportunities for continued learning in the pet industry field so they can be promoted within and grow personally. We offer live-stream webcams which allow you to go online and watch your dog playing. 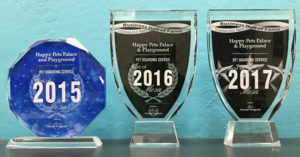 We provide four separate playgrounds for dog daycare where we place dogs in appropriate playgroups based on the dog’s size and play temperament. Our indoor dog park settings are climate controlled and come with dog playground equipment both inside and outside. Our furry dog guests can enjoy above-ground swimming pools for free! The pet boarding costs are up-front. We have flat-rate, all inclusive pricing and no hidden charges. Included with dog boarding comes free doggy day care, medication administration, story and swim time, doggy play time on our playground equipment and dog interactions with our trained and loving staff! Because dog safety is one of our top priorities, our staff is trained with The Dog Gurus method of dog behavior and dog group play. Additionally, we are certified in Pet First Aid and Pet CPR through the American Health and Safety Institute. Nightly outdoor potty breaks at 10 p.m. and late night staff to monitor the dogs. All dogs coming for boarding or daycare must pass our pre-screening evaluation to make sure they are non-aggressive and appropriate for dog-dog group play. All dogs must be current on rabies, distemper, bordatella and be neutered/spayed. Call us today for your dog’s pre-screening evaluation so your dog can come make new friends at doggy daycare! Dogs who complete our pre-screening evaluation will be in with a group of dogs of similar size and similar play style. Sometimes it takes new dogs a couple visits to warm up and become comfortable. Once they do, dogs enjoy a fun and playful time. We oversee the play groups to make sure everyone is comfortable and cared for by our knowledgeable staff. Dogs go home tired out after playing and being alert during their stay with us whether they are boarding overnight or in our daycare or puppy programs. After an initial conversation with pet parents, we conduct a 5-step pre-screening process which can take up to 4-hours. It is important we consider the new dog’s capability to be integrated into our current play groups while maintaining integrity and balance of the whole group. We hold these standards for the safety, well-being, and many other considerations of all team members and other dogs under our care. Although we love all these dogs, our facility or style of group play is not enjoyed by every dog. While most dogs are considered for daycare, in-person assessments can result in disappointment when a dog is not suitable for our group environment. For those who are unable to join our dog-dog group play, we understand you may be disappointed. Not all dogs are meant to participate in dog-dog group play at Happy Pets Palace & Playground. Not all dogs enjoy a group play experience. That does not mean your dog is a bad dog, just that our facility and play areas are not able to accommodate all dogs. Certain dogs require more space to run. Some dogs require more personal space and don’t like unfamiliar dogs close to them. Other dogs may have separation anxiety so intense that it changes the comfortable balance we strive to maintain in our group play environment. For those dogs, we can refer you to a different facility that can accommodate individual play time.